The transformation of the bathroom into a lifestyle room is a key trend being highlighted at this year’s ISH. 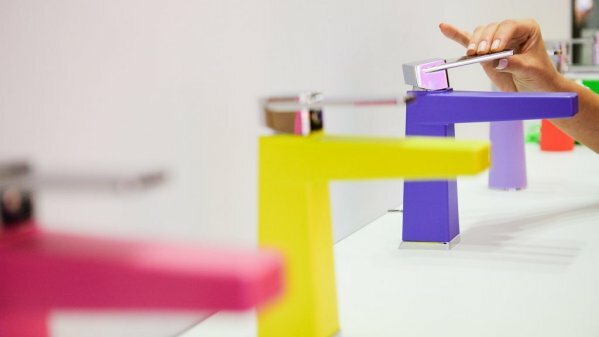 With this in mind, the ‘Pop up my Bathroom’ trend forum will present ‘Colour Selection’ showcasing current colour trends in interior design and showing how these create new possibilities for the sanitary sector. 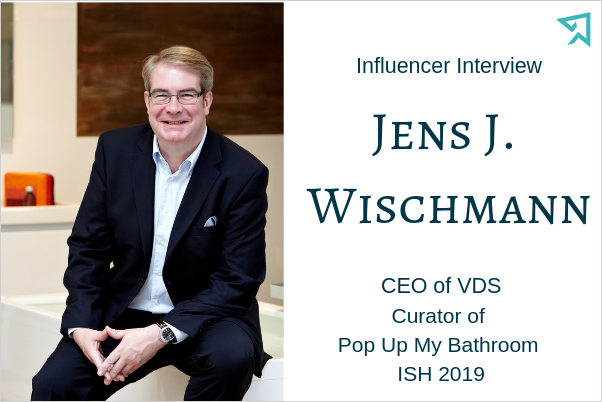 In this interview Jens J Wischmann, CEO of the German Sanitary Industry Association (Vereinigung Deutsche Sanitärwirtschaft, VDS) and curator of the ‘Colour Selection’, explains why colour is such an important topic for the next evolutionary step in bathroom design and defines the possibilities arising from the new openness for colour and lifestyle. TM: Tell us about the Pop Up My Bathroom section at ISH 2019 and why it is particularly relevant this year. JW: Colour has always been an accompaniment at our ISH trend forum, but not a topic in its own right. We’ve mainly taken a functional, society-oriented approach to the bathroom over the last few years: at ISH 2015, for instance, the Pop Up My Bathroom motto was “Freibad”, and the forum focused on the idea of a multi-generational bathroom. At ISH 2017, our communications were all about the megatrend of individualism and personalisation. For ISH 2019, we’ve identified 12 current colour trends. The most important insight is that if colour is used as a key design element in a lifestyle bathroom, one basic shade or colour combination has to play a leading role. That results in a colour collage, and all the other materials and surfaces have to contribute to this one basic theme and harmonise with one another. TM: Which social developments will be highlighted in the Pop Up My Bathroom section as having had an effect on bathroom design? JW: Our choice of topic – colour in bathroom design – is based on a development in society as a whole: the desire for personalisation. That’s the trend driver in the bathroom too. And colour is an ideal tool for personalising the bathroom. Whether I opt for a subtle colour combination or strong contrasts – whatever I decide, the choice of colours is a deliberate act. At ISH 2019, all sorts of things are possible in the bathroom: from pastel hues all the way to green or grey, which is still very much the favourite. TM: Is the Wellness trend set to stay for the time being? JW: In German-speaking countries, the meaning of the word ‘wellness’ has changed; as a factor that contributes to personal well-being, it’s taken on a more active character that includes everything from sport, work-life balance and stress management, all the way to healthy eating concepts. Because of its special status, there’s no question that the bathroom serves as an important retreat in every home – and that makes it a private spa where there’s more to wellness than “just” fragrances and creams. It’s still a place where you can turn the key in the lock and be on your own. And there’s another development that’s making itself felt: the bathroom is playing an increasingly important role as a fitness area. TM: Which other design trends do you think will be coming to the fore in 2019? JW: The “blue element” – water – is the connecting thread in the new health-focused bathroom: showers with numerous jets or multifunctional hand showers get tired muscles moving again. The shower toilet is starting to play an increasingly important role in northern Europe too: the hygiene-focused bathroom is all about convenient hygiene for the entire family – and rimless toilets, innovative finishes and touchless products can also help transform the bathroom into a private spa. There’s a lot happening “behind the wall” as well. In addition to better technical possibilities for soundproofing, the way water is dispensed in the house is changing as digitalisation advances. The benefit: precise flow control and temperature regulation. Lighting is another area that’s producing an abundance of innovations for the bathroom. It looks set to become one of the trending topics – especially as the new developments we can expect make a strong impact and are guaranteed to attract attention. Besides providing functional light for all sorts of different needs, professional lighting design can also underscore the snug character of a bathroom by creating decorative effects as well.